Grand Theft Auto: Chinatown Wars is on the way, but Timbaland's music-generation program Beaterator leads the way as Rockstar's first "game" on for the iPhone. Beaterator for the iPhone might not be as full-featured as the PlayStation Portable version, but then at $4.99 compared to $39.99, we wouldn't expect it to be. Remix premade tunes or create your own in loop mode using a simple touch screen interface that might actually have a leg-up on its PSP predecessor. It won't make you the next Mozart, of course, but it certainly has the potential to make visits to the bathroom much more musical than they already are. 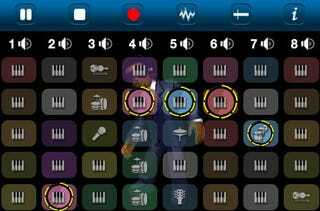 Beaterator for the iPhone is available now on the Apple iTunes App Store.